Artificial intelligence (AI) has been in the news a lot lately. Elon Musk says AI is dangerous and risky technology. But he may be in the minority; businesses are scrambling to incorporate the technology into their workflows. For example, H&R Block is using IBM’s Watson AI to completely transform the accounting industry. All the major players in the tech world are working with AI cloud service, from Apple and Google to Facebook and Amazon. Legal scholars have started coming together to discuss the ramifications of computers that can learn based on extrapolated data processed by complex programming algorithms. That’s a good thing because AI has branched out into the legal field, with a new AI called ROSS. This post looks more closely at ROSS, the new AI platform that provides legal assistance for your clients. Like IBM Watson in CPA firms, Ross could change the legal profession forever. AI is a field of computer science devoted to the study of how computers perceive the world, reason, and act. The goal of AI scientists is to produce the first intelligent machine that can logically rationalize and make decisions. Some AI scientists believe that these machines will ultimately become self-aware. Like a lot of new technologies, AI started with an idea back in 1943. The idea was that brain neurons could be turned on or off, and stimulated by other neurons. This led to the first neural net computer in 1951. Most credit researchers at Dartmouth College with creating the first AI platform. So, despite all the recent hype, AI has been around for decades in one form or another. But it hasn’t been until recently that the machine learning algorithms that form the AI backbone have begun being incorporated into our daily processes. You’ll see snippets of what these machines may someday become in today’s Siri and Alexa devices. Both of these machines can take the data that you input via your voice commands, and add it to their logic patterns as part of their cloud service. This allows the machine to interact with you and “learn” from your behaviors. IBM calls it “cognitive computing.” They’re betting a company turnaround on their Watson AI and they began monetizing the platform in the 2016 tax season by teaming up with H&R Block to create a user experience at tax time that incorporates AI’s machine learning to maximize customers’ refunds. As we write this, other companies are seeking new ways to use AI, including those in the field of legal research. The latest tech upstart is ROSS, an AI cloud service platform to help lawyers find answers to legal questions. Get a free assessment of how the cloud could work for your law firm. First, we should point out that ROSS is really more like a paralegal and less like a lawyer than the hype might indicate. The ROSS AI platform is a subscription service that lets lawyers use the tool like a legal Siri; you can ask it questions pertaining to legal research in normal language. ROSS will search extensive databases and give you an answer. Lawyers can challenge ROSS by asking it to elaborate; ROSS will respond but will also use your queries to improve its responses. That’s what makes ROSS different from LexisNexis; this machine incorporates your feedback to help refine its answers in the future. That’s the closest to “learning” that AIs can come right now – but most agree it is an interesting first step toward real interaction. The more you use ROSS, the more accurate the answers become. Interestingly, IBM’s Watson forms the raw computing power underneath the ROSS spin off. Like every other industry, law firms are being disrupted by cloud technology. The research software we use today can be accessed via an affordable cloud service model. Companies like Lex Machina are now offering legal analytics to help lawyers win lawsuits. 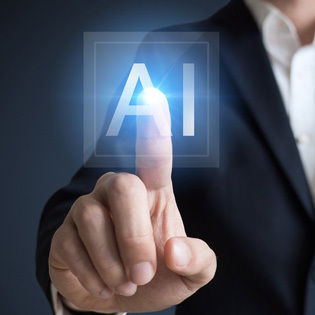 Above the Law suggests that AI technology will disrupt the learning process that forms the basis of the trial by fire that new lawyers are required to undergo. Why would a young lawyer spend 10 hours researching case law when they can query an answer and have a result in seconds? Many suggest the biggest benefit for the legal profession is that these cloud service models will offer new ways to access data and streamline the laborious research tasks that come with the profession. These tools will also potentially make the field more competitive for small law firms seeking to do more with smaller budgets. Other impacts of AI platforms remain to be seen, but like a lot of disruptive technologies, it’s likely that AI will create transformational change in one of the world’s most traditional professions. Request a quote on cloud hosting services.